Extend Communications Grand Opening! – Paulsan Construction Inc.
Paulsan Construction Inc. was proud to celebrate with Extend Communication at their recent Grand Opening! 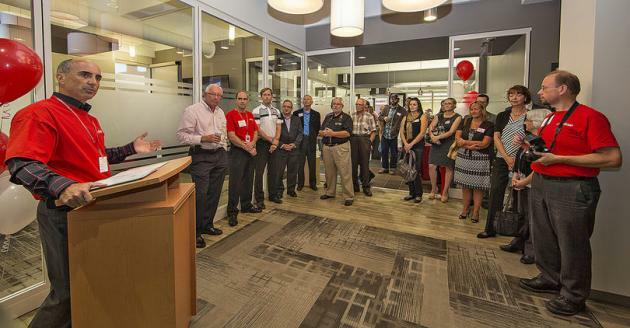 After extensive design, planning and building, Extend was excited to formally introduce its new location to its clients, partners, dignitaries, and community supporters. Extend is a well-recognized leader not only in technology and the call center industry, but in creating a culture of excellence for their clients, employees and the community. Their investment in this new, innovative location is outstanding and a true commitment to the revitalization of Brantford’s downtown.